Domain Name Blacklist Check - Your Domain Is Blacklisted?? Domain Name Blacklist Check – Your Domain Name Is Blacklisted ??? If you are a domain name investor or blogger then it is very important thing for you that you need to do domain name blacklist check. 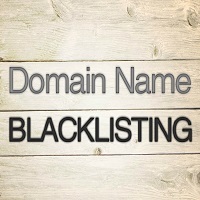 Domain Name Blacklist check’s basic meaning is that your domain name is weather blacklisted or not on various blocking lists. Your domain name can be black list if any spam activity found with your domain name. Once any spam activity found on your domain name then your domain name would be blacklisted. There are also various tools available in the market through which you can do domain name blacklist check. So do not follow any shortcut to get traffic to your site because sometimes by doing this thing our domain name can black list. Domain name investor needs to purchase new domains on regular basis so before buying them a domain name investor can do the blacklist check of domain name. So that he will be sure that any spam activity not happened with this domain name. Also for the blogger it is also important factor to do domain name blacklist check because anyhow sometimes any spam activity happen then they can check it and remove the domain name from black list. If you want to check weather your domain name is available in the blacklist or not then you can do blacklist check via the MXtoolbox blacklist. This is very good tool available in the market for domain blacklist check. MXtoolbox blacklist also show the health of your domain. MXtoolbox blacklist also provides the free monitor for the domain name blacklist. You just need to type your domain name or server ip address of your website then press blacklist check. So when you press blacklist check button then it will monitor your domain and will show list of blacklists in which weather your domain name is blacklisted or not. Your domain name be blacklisted on multiple blacklists at a time. MXtoolbox blacklist shows the result between 92 known blacklists. You can remove your domain name from the domain black list. So if you want to remove it from black list then you need to press Details in the domain checklist of MXtoolbox blacklist. It will show you blacklist’s hyperlink address and then go there and ip lookup and fill captcha. Then it will show you process to remove domain name or your domain name server ip address. Follow the instruction and send them a message how this domain name get into the black list or type your problem. Within 48 hours they will reply you and remove your domain name from black list. Sometime it will directly say your to delete your server ip or domain name from black list then fill the captcha and press delete button. Then after sometime check your domain name again then you will see it is deleted from black list. (1) Your domain name can be blacklisted if you removed some posts form your site and then there URL redirected to other pages of your site. Now when a visitor come to your site and if he will get different information from what he was finding then he can black list your domain name. (2) If you are sending spam mails again and again to any users then your domain name can go in the spam list. MXtoolbox blacklist check is very helpful for the bloggers to check their domain name time to time weather it is available in the black list or not If it is available in the black list then he need to delete it to maintain the performance of the website. If your domain name is blacklisted in many black lists then it will decrease the chances of getting traffic from search engines. MXtoolbox blacklist check tool is also very helpful for the domain name investor because they need to buy domain names on regular basis so before buying a domain name you need to check its spam activity other wise it makes hard to a domain name be develop to get good ranking from search engines. This was all about the Domain Name Blacklist Check. This valuable is one of the top-quality post which I have study till date on this important niche. Extremely detailed but still to the point with out virtually any nonsense.